I love books! I love basketball! I love blog hops!!!! I'm so excited to be teaming up with Jackie from Neat Sweet & Hard to Beat to giveaway some of our favorite March books, freebies, and a chance to win a $75 TPT gift card!!! March is standardized testing month for us. For my dear firsties, it's their first year taking standardized tests, so it's incredibly important to me how I introduce it and what their first experience is like. On the one hand, I want them to understand the significance of the tests, but on the other hand not be too stressed. I like to present testing as a way for them to showoff all that they've learned and accomplished this year! My scholars are so smart and these tests are a way for them to shine! 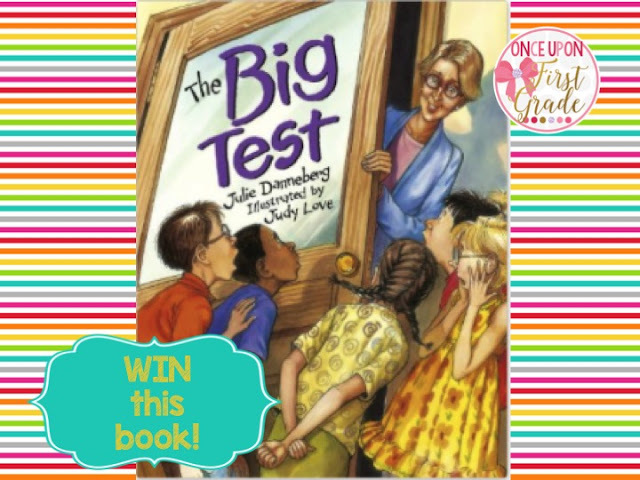 I book that I found several years ago that I love to read about testing is called The Big Test by Julie Danneberg. It features Mrs. Hartwell (the main character in some of my other favorites, First Day Jitters and Last Day Blues) and her class during testing week. She spends the week with her students practicing test prep strategies, how to bubble in answers, proper nutrition, etc. However, both her and her students are not huge fans of all the prep. In the end, Mrs. Hartwell is reminded that the most important thing is to relax, have fun, and try your best! This book helps me to really hit this home for my students! If you'd like to win a copy of the book, enter the Rafflecopter below!! In addition to reading The Big Test with my students, I like to have a few treats to help encourage my super smart scholars. 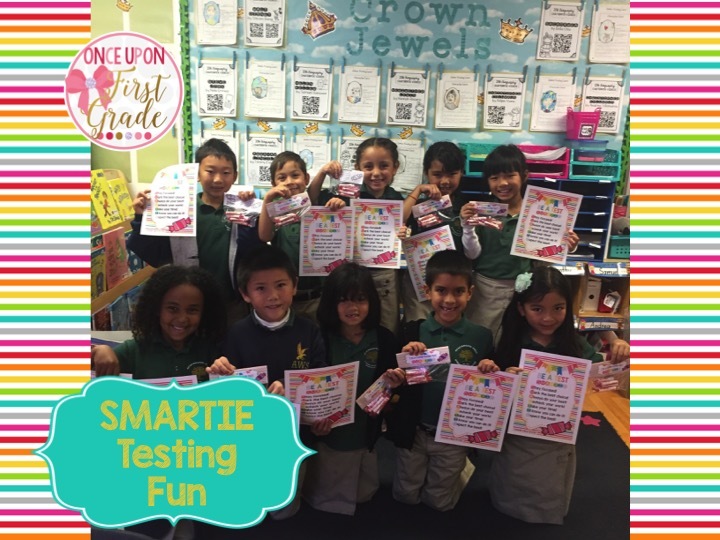 As we prepare for the test, we talk about how each student is a SMARTIE. I give them each a poster with some SMARTIE testing tips! 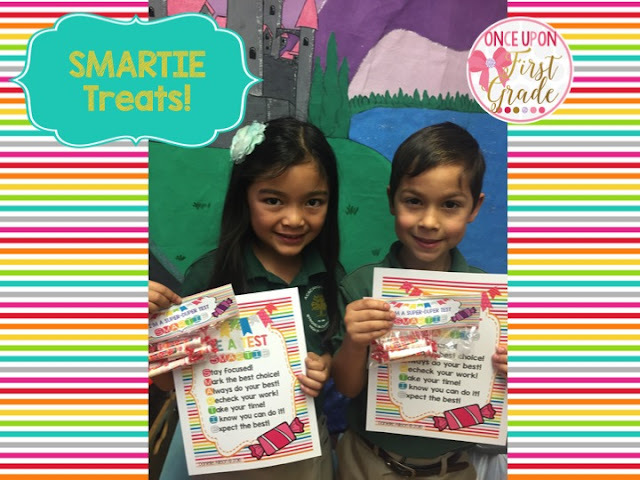 The day before the test they also each get a special treat bags with Smartie candies in them! They were so excited about their SMARTIE treats!!! After the first day of testing, I tell students that I will be watching to see who is focusing and trying their very best. They have the opportunity to earn a SMARTIE brag tag as well! 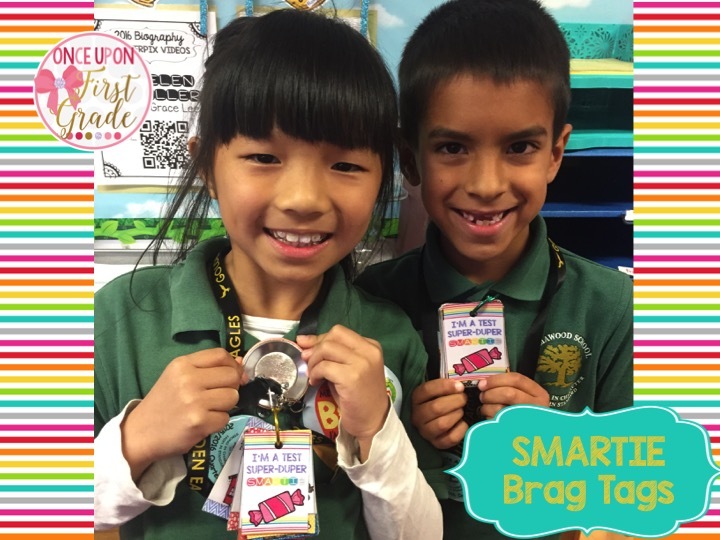 My scholars were so excited to earn their brag tags!! 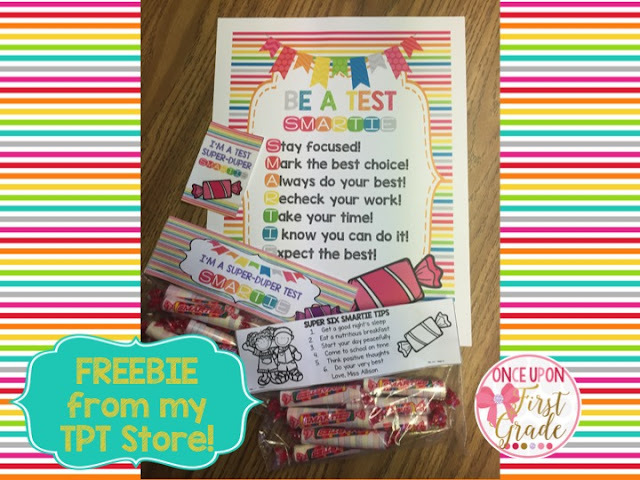 You can grab a FREE copy of my Standardized Testing SMARTIE pack at my TPT store. Click on the picture below! To celebrate all of the fabulous things that happen in March, 14 other blogger buddies and I are giving a chance to win 15 book, grab accompanying freebies, and the opportunity to win a $75 TPT gift card. To enter for the gift card, use the Rafflecopter below. Be sure to hop through all the blogs for to enter and grab some amazing March freebies!! Next, be sure to visit Sandra at Sandra's Savvy Teaching Tools. Click on her button below to keep hopping! Happy March & happy hopping!!! What a great book, my students always love The First Day Jitters by this author! I love the "Smarties" freebie you have to go along with the book! Thanks for participating in the hop! What a fabulous book and treat for students on testing days and I also love Julie Dannenberg. 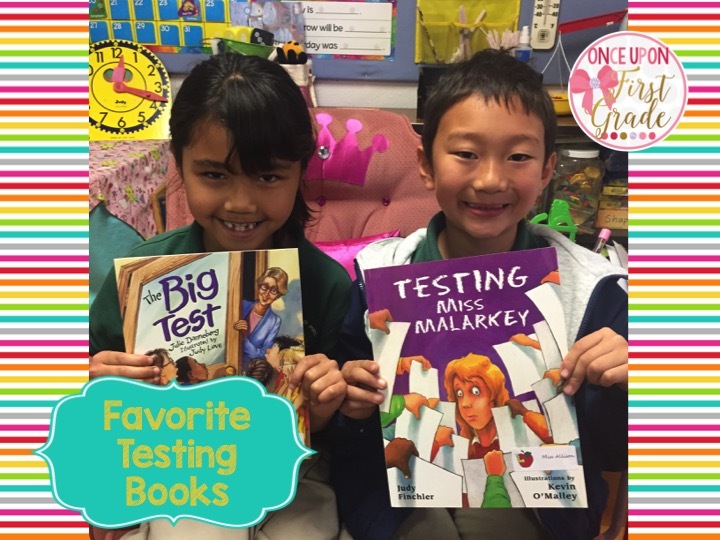 What tests do you do with firsties? I think that's one thing I'm thankful for about my district, standardized testing doesn't start until second grade. They are still so little. Thanks again for sharing! Great book and I love the freebie! We don't start standardized testing at my school until 3rd grade, so I will be directing my teachers to your store to get this great freebie. Wow, testing in 1st is a lot of pressure on those little learners. Thanks for sharing! I am keeping my fingers crossed for this book! Thanks! Hi Danielle! Your Standardized Testing Smartie Packet is fantastic! We don't have standardized testing in first grade, but we do have district assessments that we give our first graders. The packet will work out perfectly for assessment time. Thank you for the FREEBIE!